Motorists are being advised that there will be overnight closures of the B9006 Culloden Road overbridge starting on Monday 10 September to Thursday 13 September for four nights from 6:30pm to 6:30am. 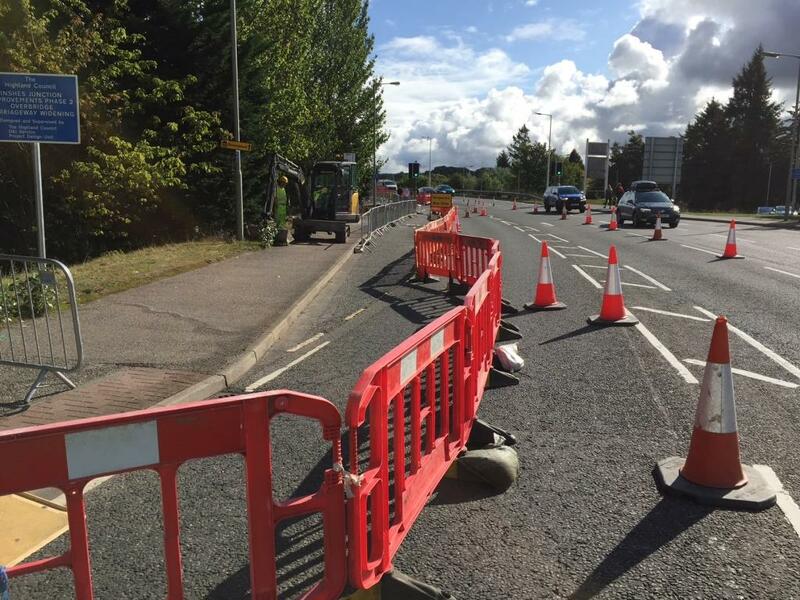 The final stages of the carriageway widening works have been reached and now the Council's contractors need road closures to allow resurfacing of the road to take place. There will be no vehicular access, however access for pedestrians and cyclists will be maintained throughout the closures. Diversions will be in place and signposted with variable message signs in place from today to warn motorists of the impending overnight closures. The Council has made every effort to keep traffic flowing throughout the works and are only making these overnight closures where absolutely necessary. Pedestrians and cyclists should take note of the signage which will direct them through the works.